Creative Writing eBook Cover Design. 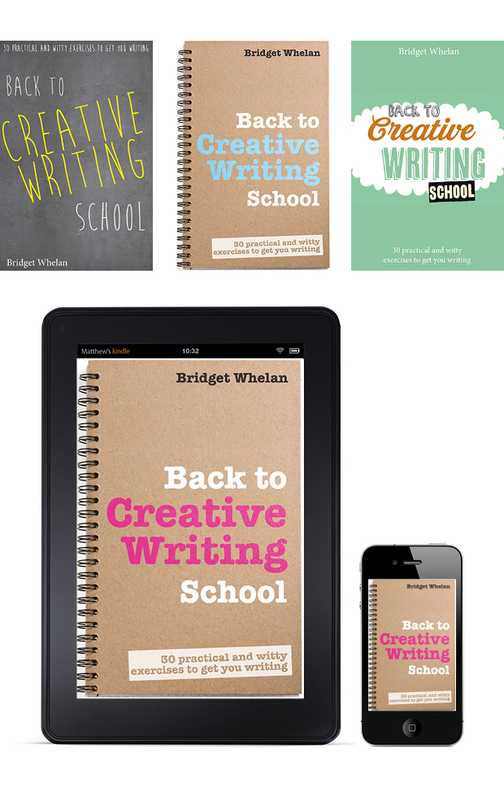 Award-winning writer Bridget Whelan teams her fiction career with teaching. So she decided to put her wisdoms into a fun-to-use creative writing handbook. Bridget was looking for a book cover design which would set the book apart from other tuition books. She wanted the cover to communicate her fresh and innovative to creative writing. The Book has sold very well and is a #1 Amazon Bestseller in Adult & Continuing Education. "Listen to Simon - he knows what works and what doesn't in ebook cover design. And the great thing is he listens to you too. I'm Delighted with the book cover design we ended up with. And I'm delighted that he resisted saying 'told you so' after I made him twiddle with the original idea. After seeing my suggested changes I realised that there is a reason why Simon is a book cover designer and I am not. Simon is very easy to work with and delivers a quick, cost effective creative service. "